Utah wins. It is the worst state for poker players and gamblers. All forms of gambling are illegal. If you want to play poker you'll have to do so illegal, at the risk of a misdemeanor. But the best option for residents of Utah will be to move, or if you're close enough, make the drive to Las Vegas or Reno, Nevada. The following text outlines the laws in Utah that make gambling illegal. Utah has no form of regulated gambling in the state. Online poker, social games and casino gambling are all illegal according to the following statute. (i) given, conducted, or offered for use or sale by a business in exchange for anything of value; or (ii) given away incident to the purchase of other goods or services. (b) "Fringe gambling" does not include a gambling, lottery, video gaming device, or other promotional activity which is clearly occasional and ancillary to the primary activity of the business. (i) is based upon an element of chance; and (ii) is in accord with an agreement or understanding that someone will receive something of value in the event of a certain outcome. (b) "Gambling" includes a lottery and fringe gambling. (i) a lawful business transaction; or (ii) playing an amusement device that confers only an immediate and unrecorded right of replay not exchangeable for value. (2) Gambling is a class B misdemeanor, provided, however, that any person who is twice convicted under this section shall be guilty of a class A misdemeanor. We receive a lot of questions about the legality of poker and gambling in the state of Utah. We thought it would be helpful to post those questions and our answers here. No way. In fact, the Utah Governor signed a bill to ban online gambling and the opting in of any federal regulatory bill. Is there an online poker room that accepts players from Utah? Utah is one of those states that is hit or miss at online poker sites. Bovada and Sportsbetting Poker won’t accept states from Utah, so you’ll have to try Sportsbetting.ag or Bet Online. What other forms of regulated gambling is offered in Utah? Where can I read more about Utah poker laws? Here are some interesting facts about poker and gambling in the state of Utah. Funnily enough, there aren’t very many since you can’t gamble in Utah. For a brief period of time, around 1925-1927, bets on horses races was legal under Utah law. 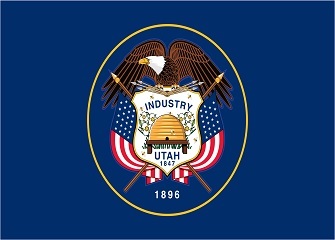 Utah has passed legislation that will prohibit the state from opting in to any future federal regulatory (online gambling) laws.